Researchers at the University of Washington, U.S., have designed a convenient and natural product that uses proteins to rebuild tooth enamel and treat dental cavities. This development could be an important process, adding to the pain-free treatments that we already perform at Mannamead Cosmetic Dental Centre. 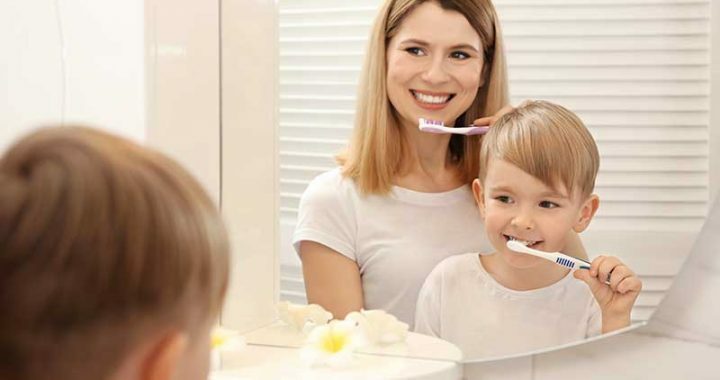 “Remineralisation guided by peptides is a healthy alternative to current dental health care,” said lead author Mehmet Sarikaya, professor of materials science and engineering and adjunct professor in the Department of Chemical Engineering and Department of Oral Health Sciences. The new biogenic dental products can, in theory, rebuild teeth and cure cavities without today’s costly and uncomfortable treatments. Good oral hygiene is the best prevention, and over the past half-century, brushing and flossing have reduced significantly the impact of cavities for many. Taking inspiration from the body’s own natural tooth-forming proteins, the UW team has come up with a way to repair the tooth enamel. The researchers accomplished this by capturing the essence of amelogenin — a protein crucial to forming the hard crown enamel — to design amelogenin derived peptides that biomineralise and are the key active ingredient in the new technology. The bio-inspired repair process restores the mineral structure found in native tooth enamel. “These peptides are proven to bind on to tooth surfaces and recruit calcium and phosphate ions,” said Deniz Yucesoy, a co-author and a doctoral student at the UW. The peptide-enabled technology allows the deposition of 10 to 50 micrometres of new enamel on the teeth after each use. Once fully developed, the technology can be used in both private and public health settings, in biomimetic toothpaste, gels, solutions and composites as a safe alternative to existing dental procedures and treatments. The technology enables people to rebuild and strengthen tooth enamel on a daily basis as part of a preventive dental care routine. It is expected to be safe for use by adults and children. Co-authors are H. Fong, a research scientist in the UW Department of Materials Science and Engineering, and Greg Huang, professor and chair of Orthodontics in the School of Dentistry. Posted in Cosmetic Dentistry, Dental Health, Fillings, Health, News and tagged Cosmetic Dentistry, Dental Health, News, Pain, Sensitivity, Smile. This is very interesting – would this mean less work for dentists? But then I guess we could look to spend more on cosmetic dentistry.